The Popular Mobilization Forces (PMU/PMF) militias are sons of Iraq, whose sacrifices in the war against Islamic State (IS, formerly ISIS/ISIL) terrorists are immeasurable, and they deserve the “highest merits,” Ibrahim al-Jaafari told RT in an exclusive interview. “Al-Hasd Al-Shaabi [the Arabic name for the PMU] fighters suffered huge losses, shed their precious blood for the sake of saving the Fatherland,” the official said. Recent demands by the US urging the “Iranian militias” to “go home” are a glaring example of US hypocrisy, al-Jaafari stated. “The US is playing its own game, by own rules and relying on certain factions. Iraq, though, operates in its own territory within its own powers, relying on support of it sons, its political parties and movements, on support of those who sacrifice themselves for the good of their country,” the minister told RT. The demands were voiced by US State Secretary Rex Tillerson last Sunday at a joint news conference with Saudi Foreign Minister Adel Jubeir in Riyadh following a meeting with senior Saudi and Iraqi officials. Tillerson’s demand was met by a firm rejection from Baghdad, which condemned Washington’s interference into internal affairs of their country. “No party has the right to interfere in Iraqi matters,” Prime Minister Haider al-Abadi’s said Monday, according to a Facebook statement issued by his office. 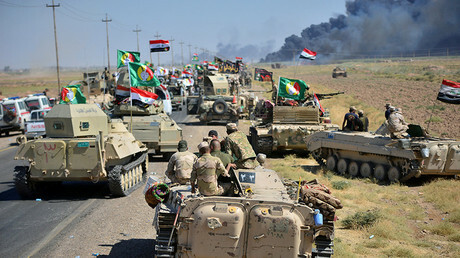 Tens of thousands of Iraqis joined militia units in 2014 after Iraqi Shia cleric Ayatollah Ali al-Sistani called for a national uprising against IS terrorists by issuing a non-sectarian fatwa. 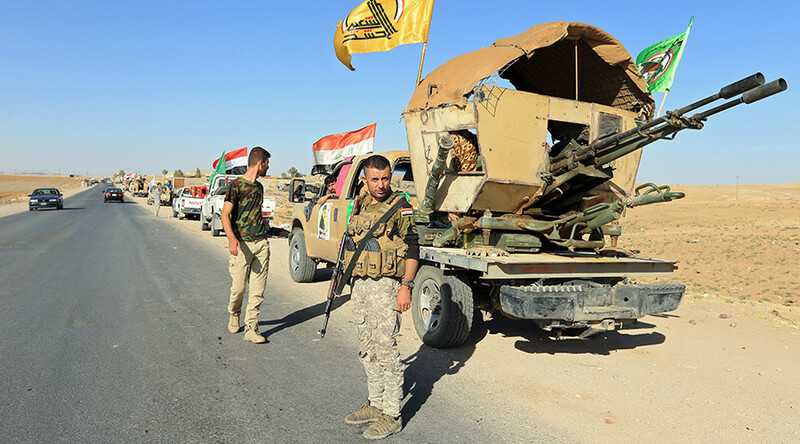 Though there are no official statistics, PMU units numbered up to 100,000 fighters, according to some estimates. Iran has been funding and training some of the PMU units which fought alongside the Iraqi Army in the battle of Mosul and other northern Iraqi cities.